Waiting for that perfect Lehenga Choli set – we’ve got the right selection for you!Waiting for that perfect Lehenga Choli set – we’ve got the right selection for you! The most versatile outfit according to us is the stunning lehenga choli. With the carefully curated collection of lehengas online, we are able to give you a breadth of outfits which can befit multiple occasions. Our boutique collection of designer lehenga cholis online have both modern and traditional silhouettes. Pair our off-shoulder cholis with some simple yet stunning skirts or go the traditional route with a kalidaar lehenga with a traditional blouse – we’ve got the extremes as well as everything in between! But here’s our best kept secret – if you’re looking to buy a lehenga online in Mumbai, we send a stylist over to your house to measure and help customize the design you have selected. Besides the material, most elements of the garment are customizable including the fit, sleeves, colours and necklines. 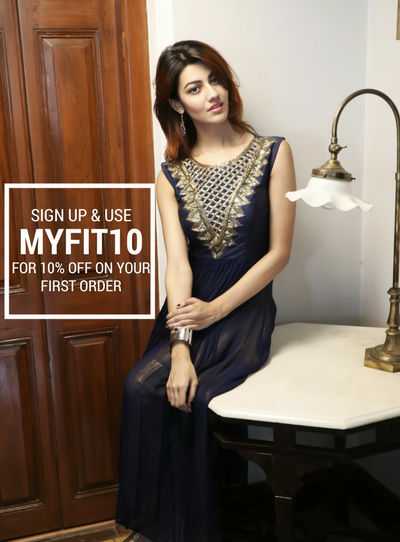 So the next time you’re looking at a beautiful lehenga to twirl in, wishing that you could change some element of it to suit your personal style, think of our collection at StitchMyFit.com! What’re you waiting for, go ahead and choose some stunning lehengas at StitchMyFit – there’s no other comparable online designer lehenga shopping experience!